We offer vast range of communication gateways toenable remote management of industrial equipment from any standard web browser. 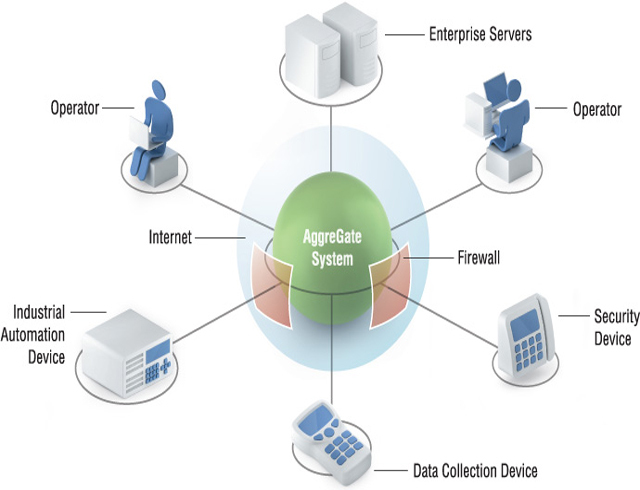 The gateway contains on-board configurable web pages that can easily be configured with the many pre-made modbus templates The remote monitoring gateways connect to any equipment which supports serial Modbus-RTU and Ethernet Modbus-TCP equipment. The communication gateway is especially suited for equipment that needs to be accessed via LAN applications. We have support for remote connection over Ethernet, GSM/GPRS, as well as through external telephone modems and GPS tracking devices. Data logging to onboard FLASH and web based visualization of historical data on trend graphs. Useful to detect early warnings of malfunctioning equipment. The parameters to be logged can easily be selected by the user on the built-in web pages in the gateway. Alarms and events can easily be configured on the web pages to be sent by email, SMS, SNMP and Modbus TCP. Configuration of alarm conditions and whom to send the alarm is configured through the onboard web pages. All events are stored in an alarm list. The communication gateway gives the user the possibility to easily read and write data to the remote equipment. Through a Modbus device template system the configuration is easy and the user can choose what data to appear on the on board web pages. Contact us today so we can discuss your next project for remote monitoring.